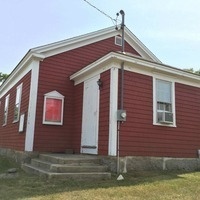 The Aquinnah Public Library was established in 1901 and is located in the Red Schoolhouse building in Aquinnah. It is a family friendly space that provides outstanding service. Tuesday & Thursday: 2 to 7 p.m.; Saturday: 10 a.m. to 4 p.m.
Make a card that opens a surprise umbrella. Join us to celebrate the beginning of Spring with an egg hunt.